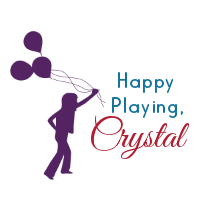 Like most moms I am incredibly busy, but I still like to find simple ways to wow my kids over the holidays. Here are 50 GENIUS Halloween hacks to help you win this spooky-fun holiday without the headache. 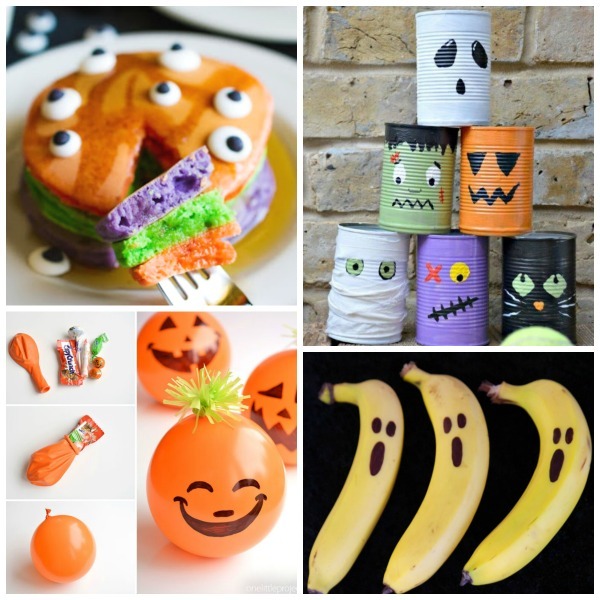 Easily transform fruit pouches into Halloween mummies! Surprise them with ghost toast. 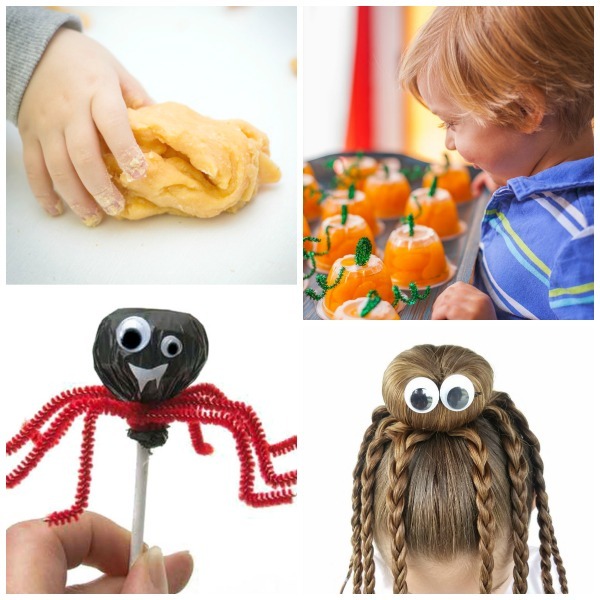 Use plastic gloves to make Halloween witch hands. Transform apple slices into monster apples! Use a Sharpie to transform plain balloons into SPOOKY balloons. Draw pumpkin faces on kids fruit cups. 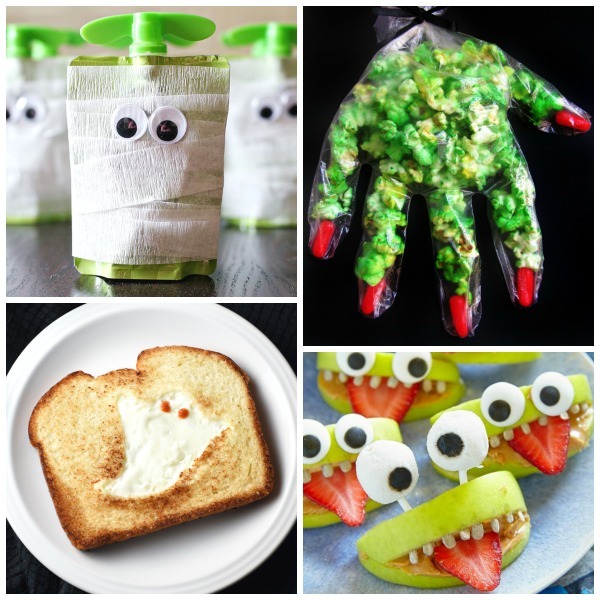 Make mummy juice boxes and string cheese ghosts. Turn pudding cups into bat pudding! 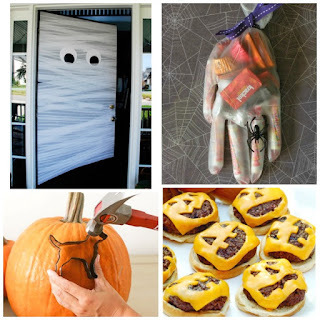 Surprise the kids with a mummy door when they come home from school. 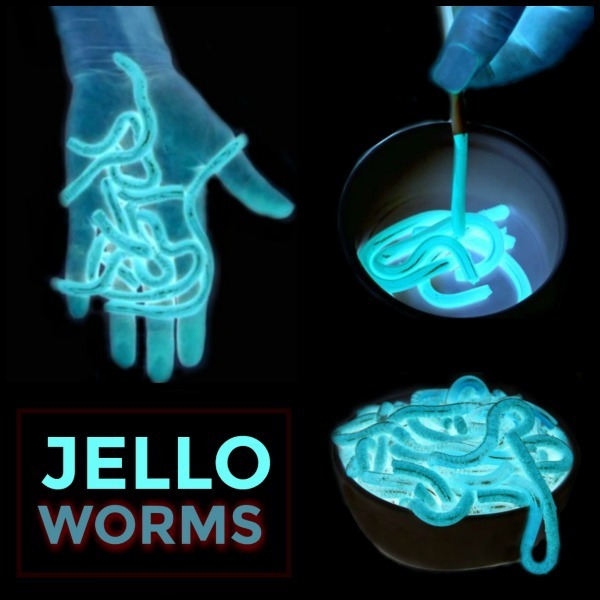 Use surgical gloves to make Halloween hand treats. Transform plain burgers into Halloween burgers with this simple hack. Make pumpkin carving easier for kids by using cookie cutters. Use a pumpkin to play pumpkin golf. 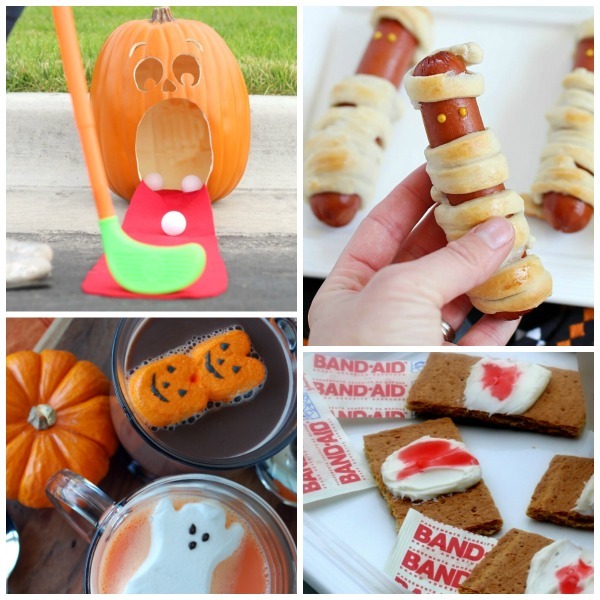 Turn hot dogs into hot dog mummies with this quick trick. Use Halloween PEEPS in place of marshmallows to make frightfully fun hot cocoa. Make bloody bandage cookies using graham crackers. Put a PB&J spider sandwich in their lunch. Turn strawberries into ghosts for a healthy after school snack. 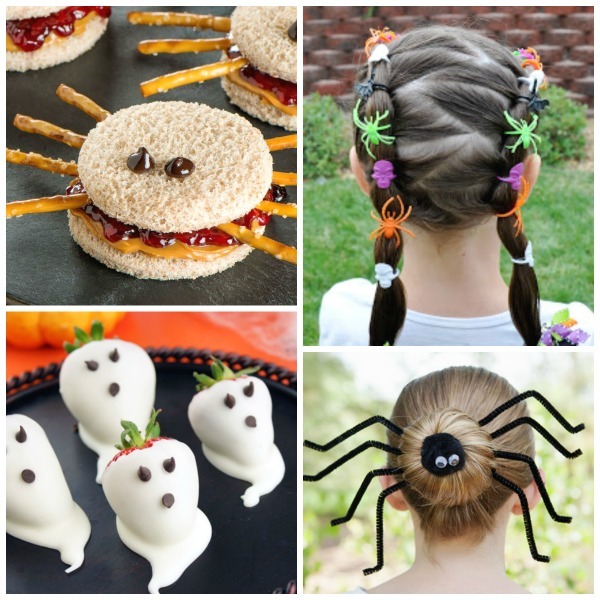 Use spider rings to give your girl the coolest Halloween hair ever! Another great Halloween hair hack for the girls is this silly spider bun. Turn a balloon into a Halloween pinata. Transform bananas into BOO-nanas in seconds using only a sharpie. 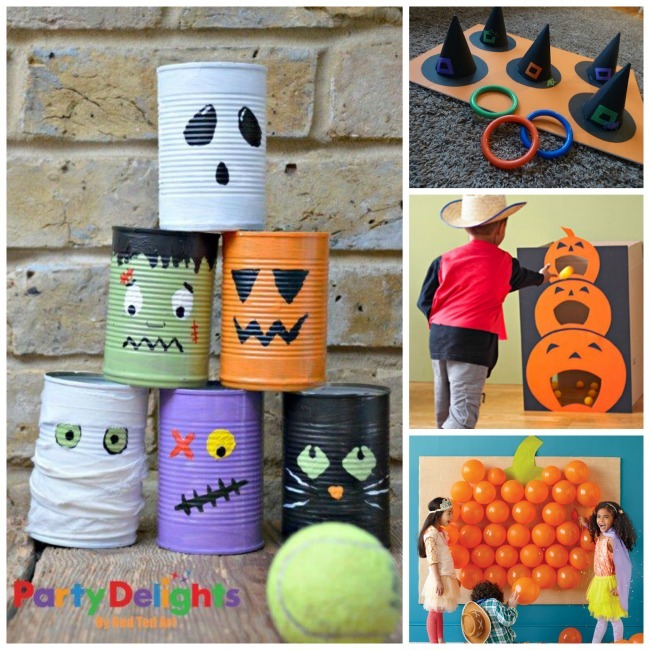 Turn tin cans into this awesome Halloween bowling game. Turn a potato into a super fun ghost stamp. Use plastic vampire teeth to make fanged pumpkins. 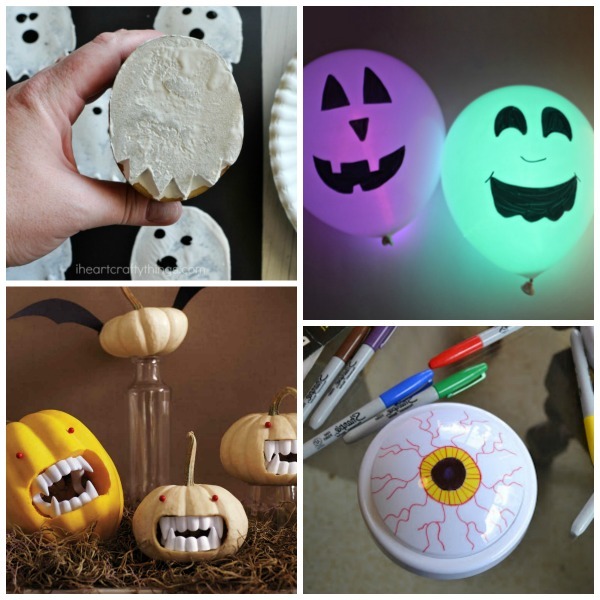 Use glow sticks to make light-up Halloween balloons. Have kids use Sharpies to transform dollar store push lights into creepy window eyeballs. Use ice cream cones to make these awesome Halloween pinata cookies. Transform left over spaghetti noodles into ooey-gooey monster guts. Turn milk jugs into "spirit jugs" using Christmas lights and Sharpie. Use plastic spiders to make spider ice. Use a can of pumpkin to make this super fun play clay for kids. Turn lollipops into spider lollipops! 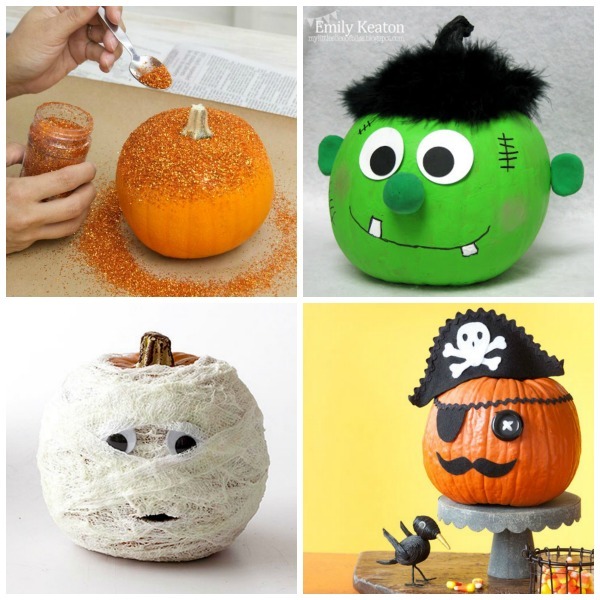 Turn fruit cups into adorable pumpkin patch party favors. Another great Halloween hair hack for girls- silly octopus hair. 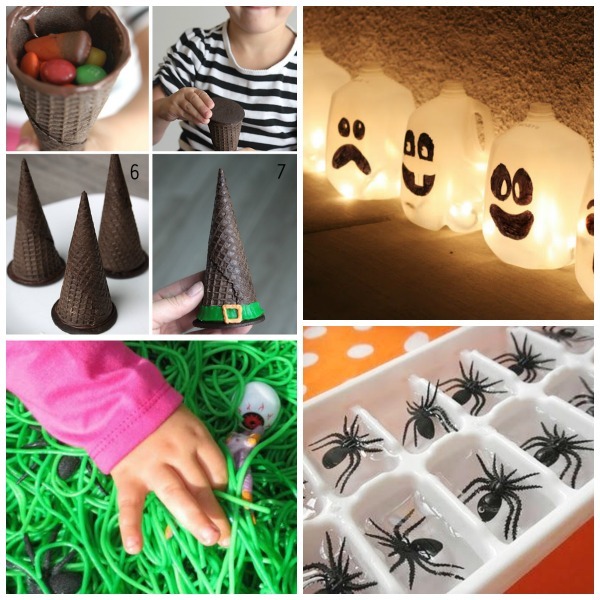 Make Halloween slime using white school glue. 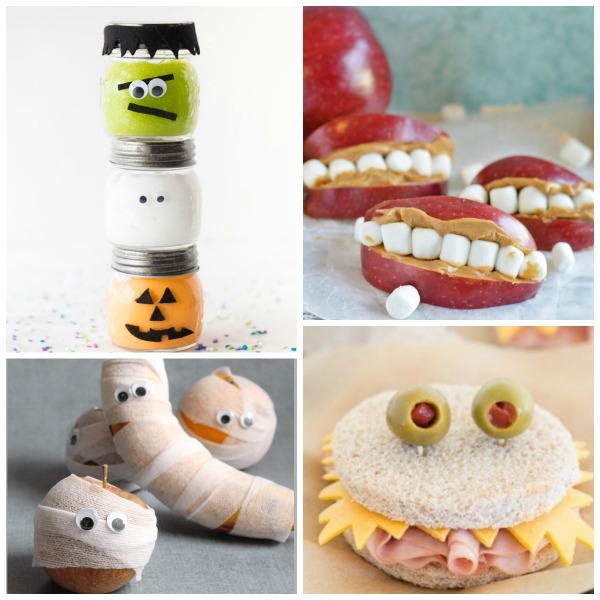 Use gauze to make mummy fruit! Turn apples slices into monster smiles. Turn Oreo cookies into edible eyeballs! 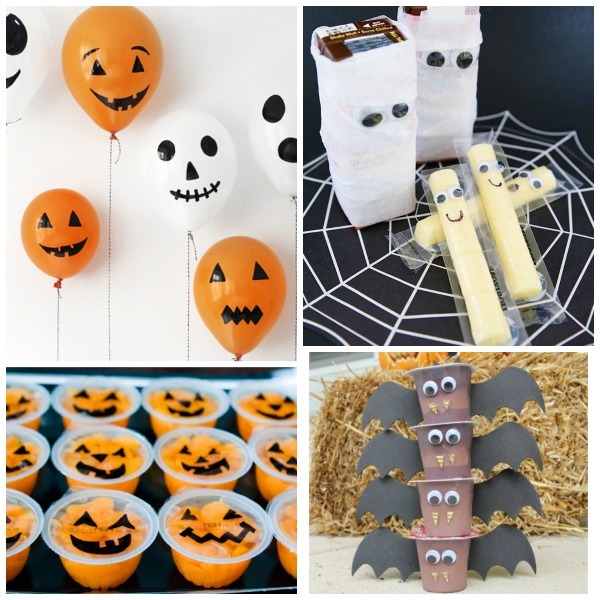 Quickly transform kids juice boxes into adorable Halloween favors using these free printables. Kids too young to carve? Use this spray paint hack to decorate those pumpkins! 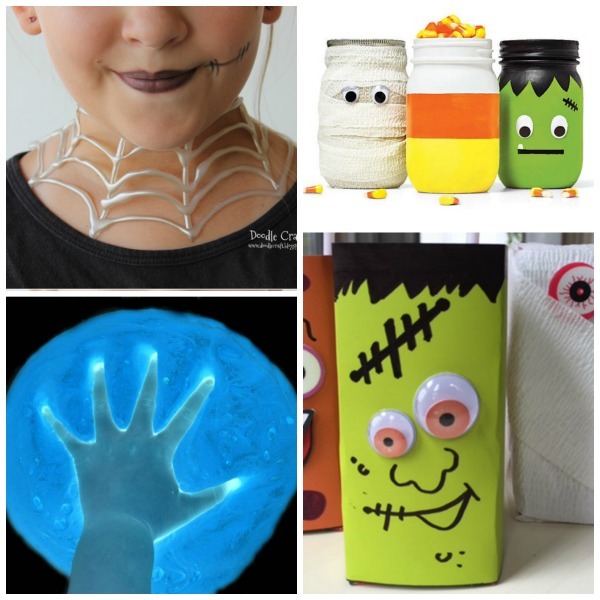 Make Halloween necklaces using nothing more than hot glue. Transform regular juice boxes into spooky juice box monsters. Refrigerate school glue overnight to make icy cold ghost slime. 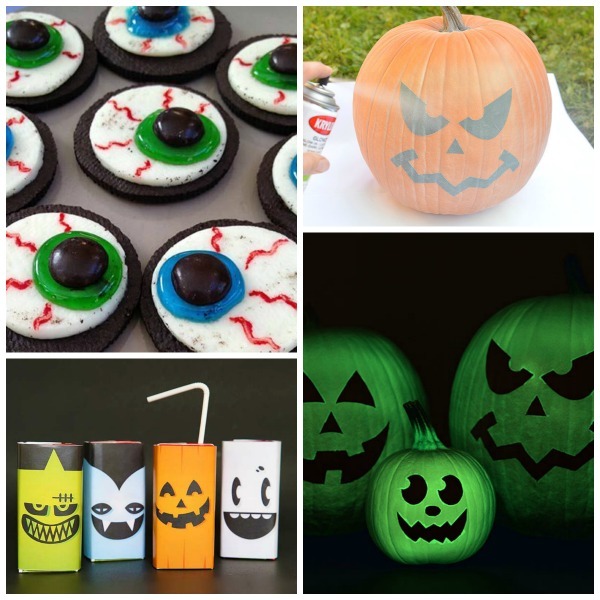 Transform empty jars into adorable Halloween treat jars.